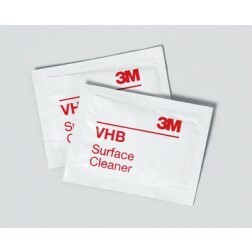 3M™ VHB™ Surface Cleaner is a very pure solution of Isopropyl alcohol in water. 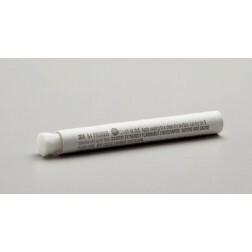 It is colourless, has very little odour and evaporates very quickly leaving no residue. It will remove most light contamination (grease, dirt) efficiently without affecting the substrate. Note: A Dangerous Goods freight surcharge may apply on these items. Please contact us for a postage estimate. 3M™ Tape Primer 94 is an adhesion promoter for use in conjunction with 3M™ VHB™ Tape. For use on many plastic, rubber, painted and bare metal substrates. Note: A Dangerous Goods freight surcharge may apply on these items. Please contact us for a postage estimate. 3M™ Silane Glass Treatment AP115 is a solvent mixture of isopropyl alcohol and water that is used to increase adhesion of 3M™ VHB™ Tapes to uncoated glass surfaces. Glass surfaces are water loving in nature, which can cause issues in humid or wet environments when attempting to create a strong, long-lasting adhesive bond. Moisture can undercut the tape bondline and interfere with normal adhesion forces. 3M™ Silane Glass Treatment AP115 creates a hydrophobic surface that protects the 3M™ VHB™ Tape and bonds in even the most moist environments. Easy to apply and clear in color. Note: A Dangerous Goods freight surcharge may apply on these items. Please contact us for a postage estimate. 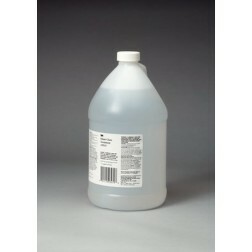 3M™ Isopropyl Alcohol Cleaner is a remarkable liquid cleaner/degreaser used to help dissolve and remove dirt, grease, tar, and many non-curing type adhesives. It cleans without streaking and has a fresh citrus scent. You can use it in some cases to degrease substrates prior to adhesive bonding, in place of many chlorinated or petroleum based solvents and help increase bonding success. Note: A Dangerous Goods freight surcharge may apply on these items. Please contact us for a postage estimate.